Then Raphaela Belsham is killed. She's thirteen years old, her father is a man of influence, from a smart part of town. And she's white. Suddenly, the establishment is taking notice. 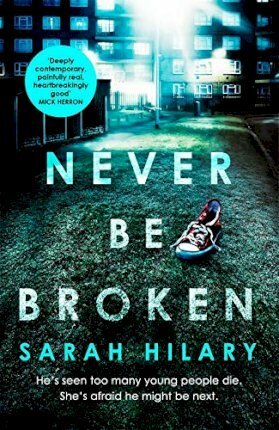 Sarah Hilary's debut, SOMEONE ELSE'S SKIN, won Theakston's Crime Novel of the Year award in 2015 and was a World Book Night selection for 2016. She has been selected for the Richard and Judy Bookclub, and is the author of six novels, all featuring D I Marnie Rome and Noah Jake. She lives in Bath.